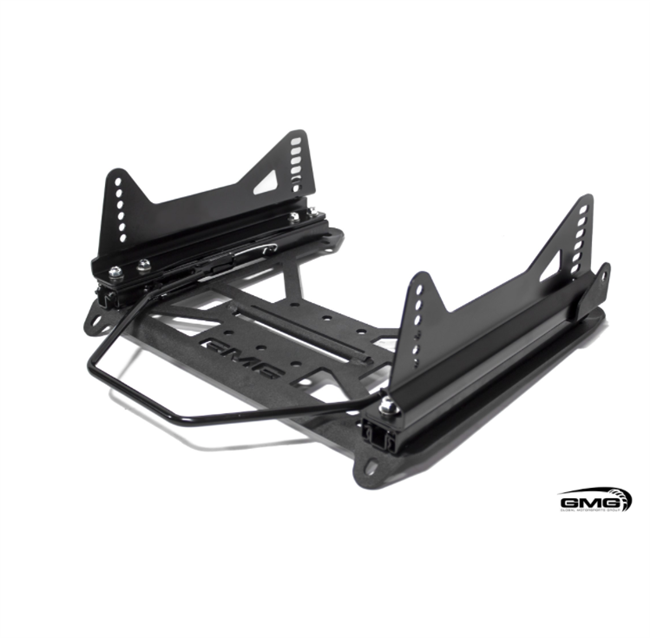 The GMG Racing Seat Bases utilize the factory seat mounting provisions on your vehicle's floor and provide a low-profile, flat surface, for mounting your aftermarket racing seat. These bases are compatible with the majority of FIA and SFI-approved seat manufacturers. With limited space in the driver and passenger compartment, fitting aftermarket seats can be a difficult task due to the center console and protruding door panel. The system we have implemented supplies ample amount of adjustment so that these clearance issues can be resolved. Each seat base kit is sold individually for one seat. 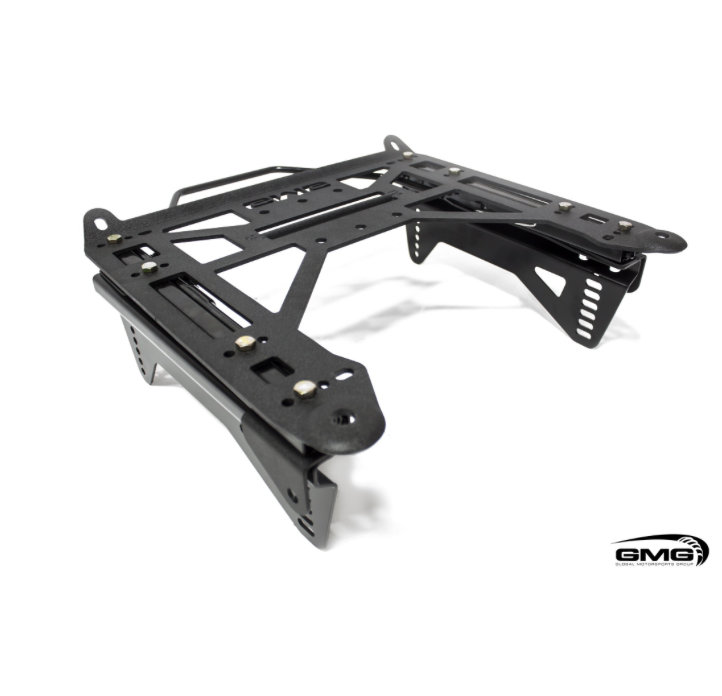 The kit includes the base itself, sliders, associated hardware, and seat mounting brackets. We run these seat bases in many of our race and track cars. CNC cut and stamped out of a single 3/8” steel plate to maximize strength while minimizing weight. Powdercoated wrinkle black (base), and Satin Black (mounting brackets). Integrated sub-strap bar negates the need for an additional strap mounting plate. Plate offers provision for factory seat belt receptacle. Multiple rail mounting holes allow for lateral seat adjustment and a wide number of seat widths. Four-bolts rail mounts greatly minimizes the chance of flexing compared to two-bolt rails. Truly a bolt-in solution. The base requires no modification to the chassis. Seat Compatibility: *Seat compatibility list is not limited to only these seats, feel free to call, or Email if there is another seat you would compatibility information on.